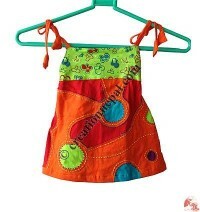 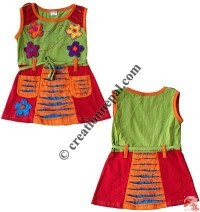 Beautiful cotton children dresses and skirts are prepared with various design embroidery and patch-work and prints. 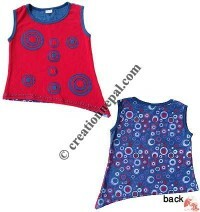 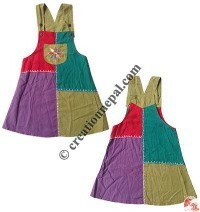 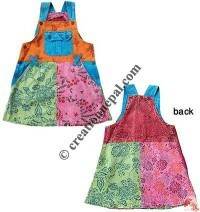 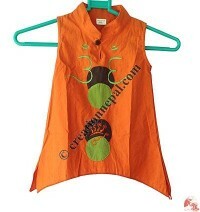 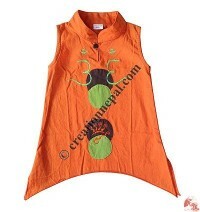 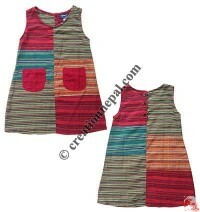 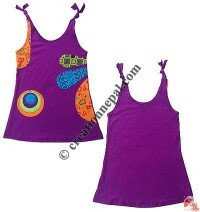 Nepalese cotton children dresses are beautiful and considered as natural wear for the girls kids. 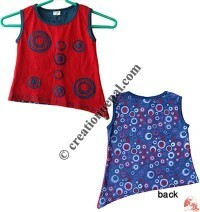 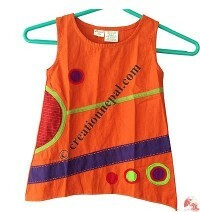 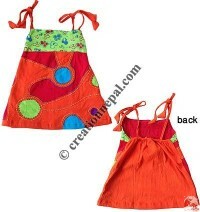 Creation Nepal offers some unique looking Nepal kids dresses and skirts online. 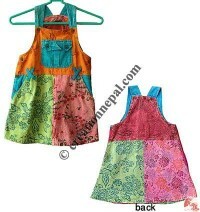 Different types of Nepali cotton fabric, embroidery and prints are being used to make the different pattern and colors kids dress in Nepal. 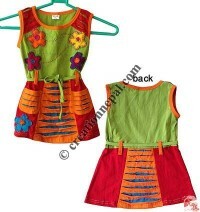 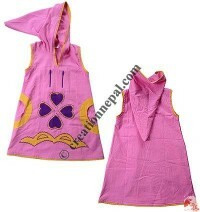 We offer some beautiful Nepalese kids dresses as Sinkar kids flower-patch dress, Fine cotton kids dress, Embroidered cotton dress, Printed kids dress,Cotton frills kids dress, Stone-wash cotton dress, Khaddar long hood kids dress, Plain patch kids dress, Open strap kids patch dress, Swirl tail hood kids dress etc. 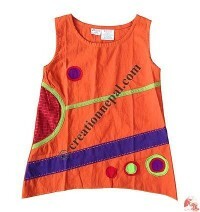 are some of the dresses available online at Creation Nepal.